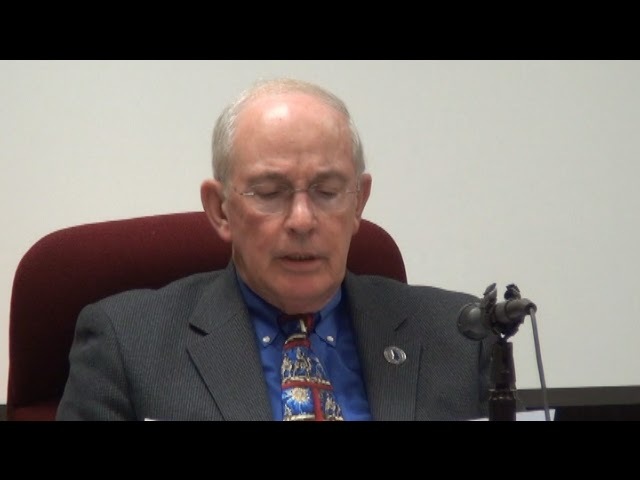 BOC Chairman Melvin Davis said at the first reading that he wants the body to consider changing the map that defines where liquor can be sold, increasing the percentage of a restaurant’s revenue that can come from the sale of alcohol, and eliminating the requirement that at least some food must be sold with the purchase of alcoholic beverages. Commissioners John Daniell and Jim Luke did not attend that meeting in December, and Commissioner Margaret Hale, who did attend, will be replaced at tomorrow night’s meeting by newly elected Commissioner Bubber Wilkes. Commissioner Mark Saxon said he agreed with Davis that BOC should consider changes in the ordinance drafted by Haygood before the members get back together tomorrow night. The BOC also will consider three rezone requests tomorrow night, only one of which seems likely to be controversial. The first rezone request is for expansion of the Three Sixteen Professional Park to include 14 additional acres at the corner of Jennings Mill Road and Virgil Langford Road. That project generated no controversy when it was before the Planning Commission on Dec. 15. The second rezone is for a recreational vehicle storage facility at the corner of New High Shoals Road and Union Church Road. That project was very controversial when it came before the Planning Commission, and the developers are asking the BOC to withdraw the rezone request. The third rezone request is by Samuel F. Border, who is seeking to subdivide his nearly 15 acres of land on SR 15 south of Watkinsville into two single-family lots. At the meeting on Dec. 15, the Planning Commission voted unanimously to recommend approval of the first rezone and unanimously to recommend that the second rezone not be approved, but it split its vote on the request by Border, with Chairman Dan Arnold breaking the tie in favor of Border’s requesst. The Board of Commissioners makes the final decision on all rezone issues. A single-family residence was constructed on the Border property in 1996, and a second dwelling was constructed in 2007. Border is seeking approval to administratively subdivide the property into two tracts, one of just less than five acres for the second house, with the remaining acreage for the existing single-family dwelling. On Jan. 9, 2007, Border wrote to the Oconee County Code Enforcement office indicating that he needed a tenant farm dwelling on his property because he was “growing and marketing hay,” documents in the file for the rezone request show. Oconee County Building Inspector Steve Hansford issued Border a building permit on Jan. 19 for a 1,500-square-foot-building for that purpose. How a building permitted and inspected at 1,500 square feet could actually be 2,676 square feet in size is not explained in any of the documents and did not come up at the Planning Commission. A change in the county’s laws to allow for the sale of liquor by the drink in county restaurants enjoys widespread support in the county, a survey my students conducted last fall shows. The referendum was approved by 65 percent of those who voted in the Nov. 4 election. Voters didn’t tell the commissioners the specifics of the law they want passed, and that is something the BOC will be guessing about tomorrow night. Citizens will get a second chance when the ordinance–the sixth item on the agenda–comes up for discussion tomorrow night. That meeting starts at 7 p.m. at the Courthouse in Watkinsville. I wonder how Mr. Border managed to get away with building a large home, rather than a tenant building, as well as claiming to be a hay farmer, maybe without growing hay. He seems to be one who tries to get around regulations, perhaps successfully this time. Has the "tenant house" been taxed all these years at 1500 sq. ft. or 2600+ sq. ft.? And how did they get by with building a house with such a discrepancy in size from what was permitted? Is this a case of "...who you know..."? The tenant house has been taxed at 2,676 from 2008, according to Allen Skinner, chief appraiser for the county. See the posting of 1/7/2015 for details.